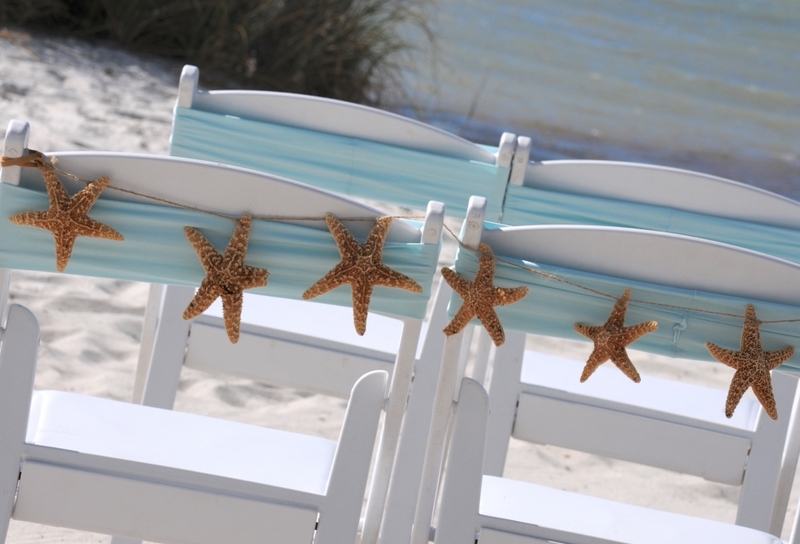 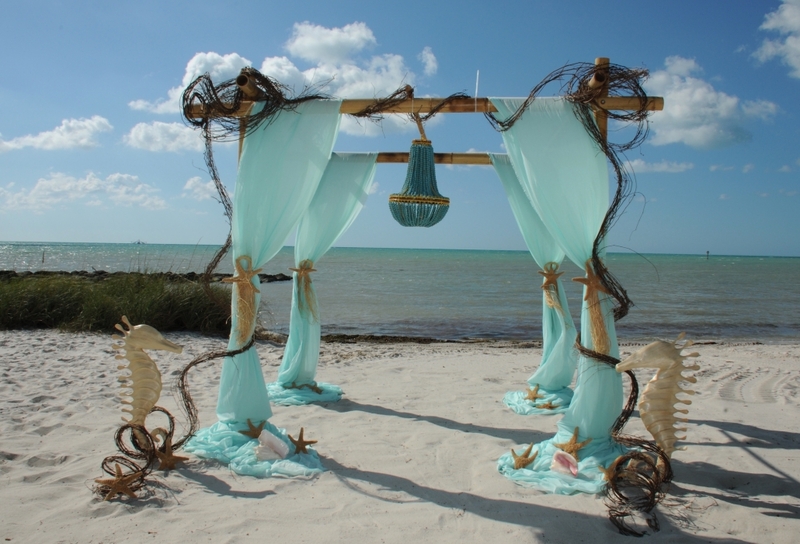 Our assistant designer, Dana, created this beautiful “Under The Sea” Decor option for your White Glove Package. 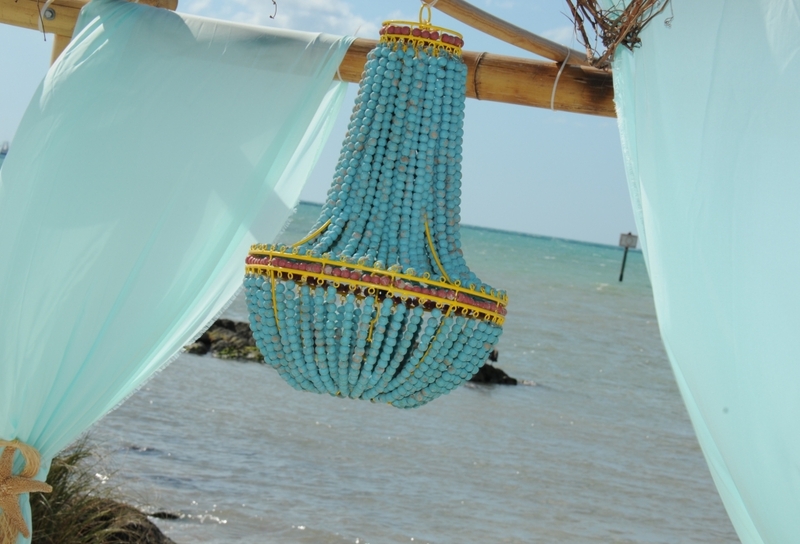 Look at that chandelier!! 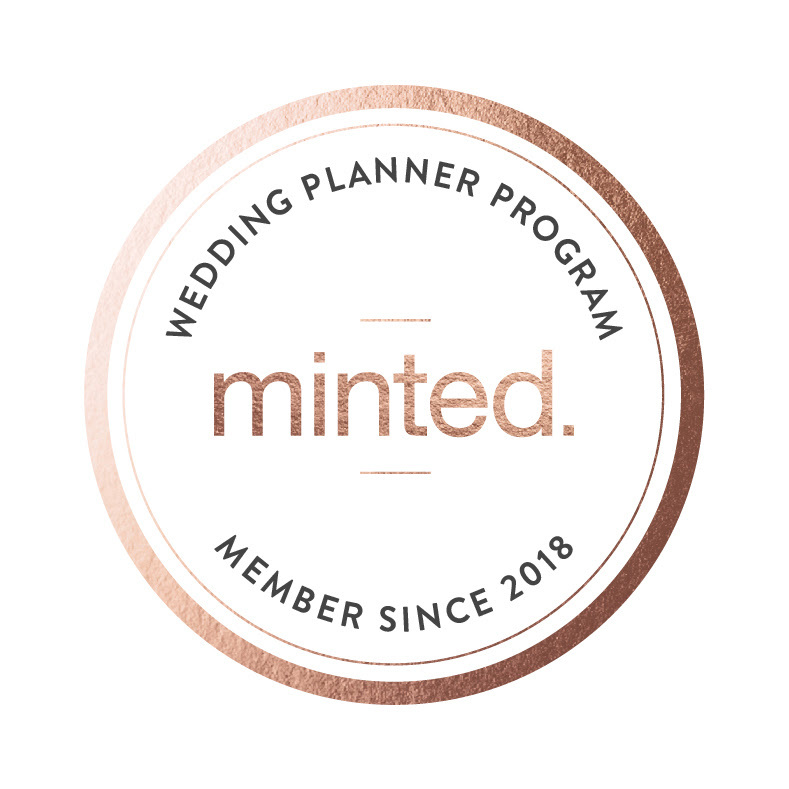 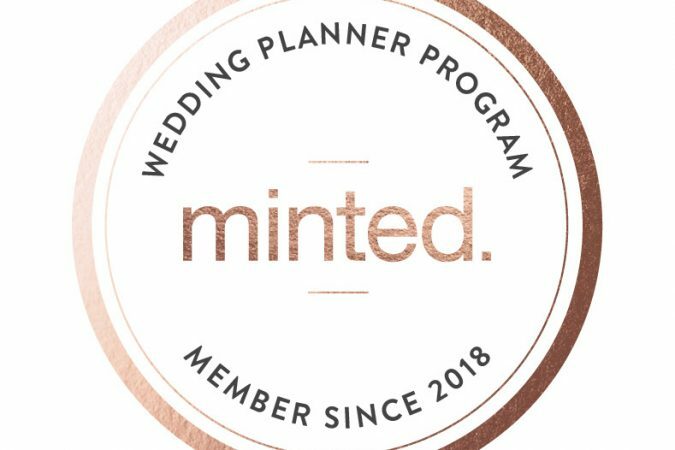 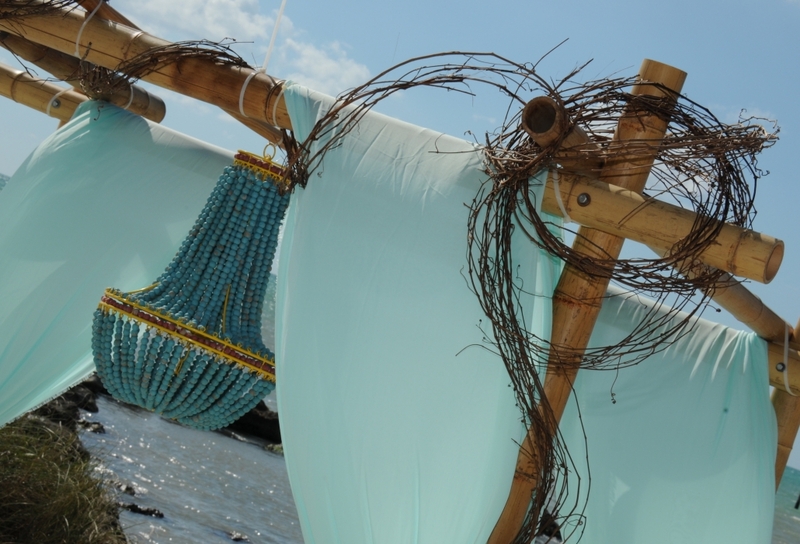 That is a statement piece! 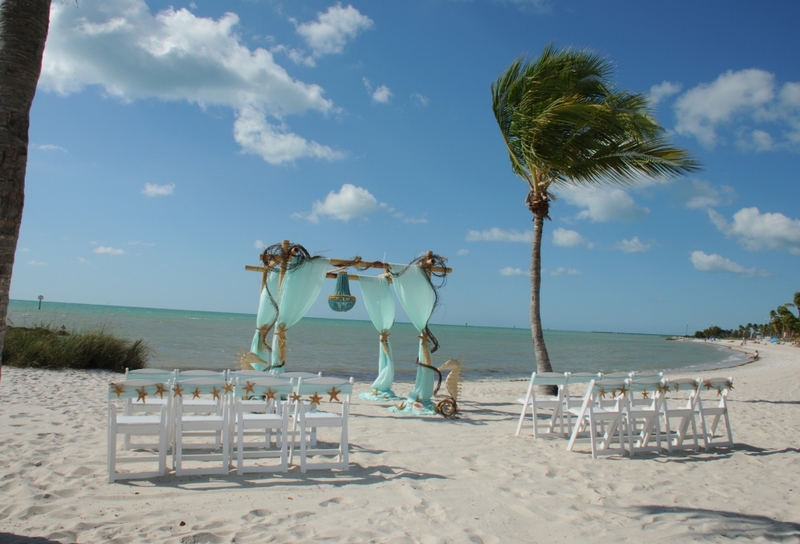 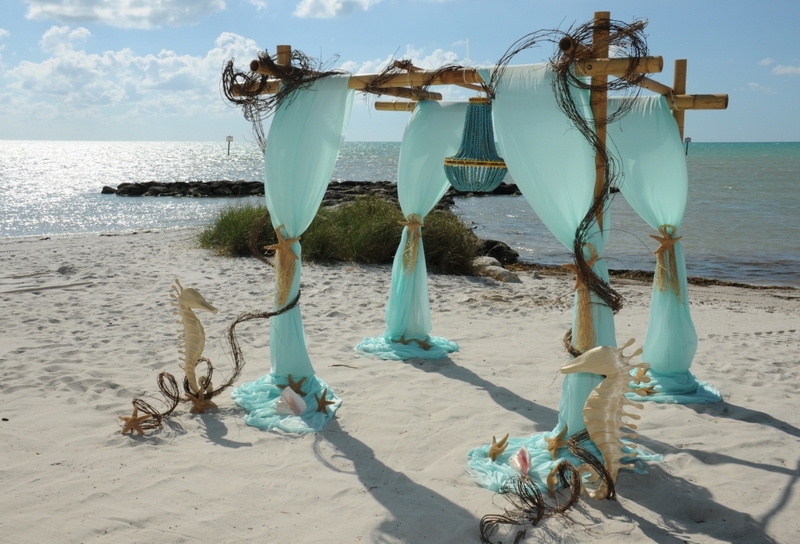 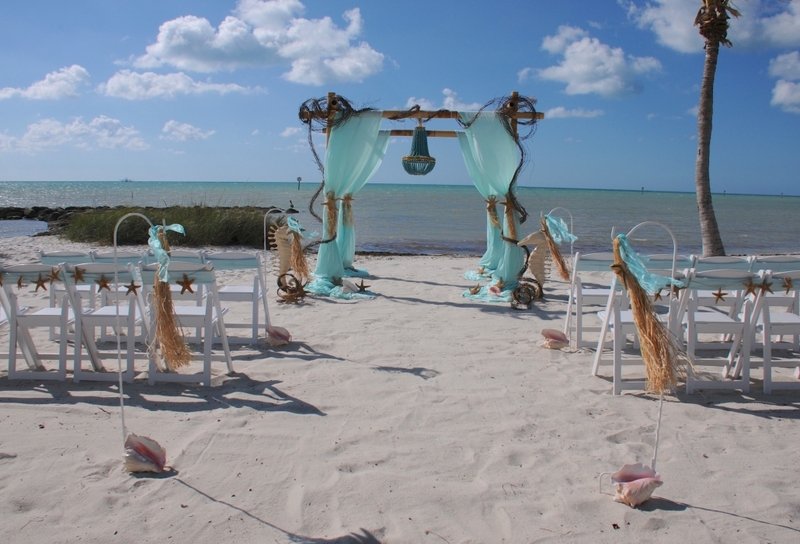 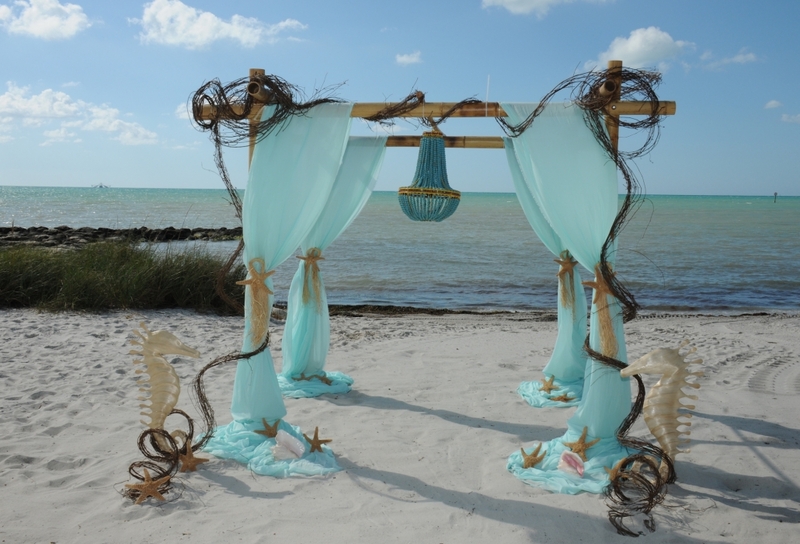 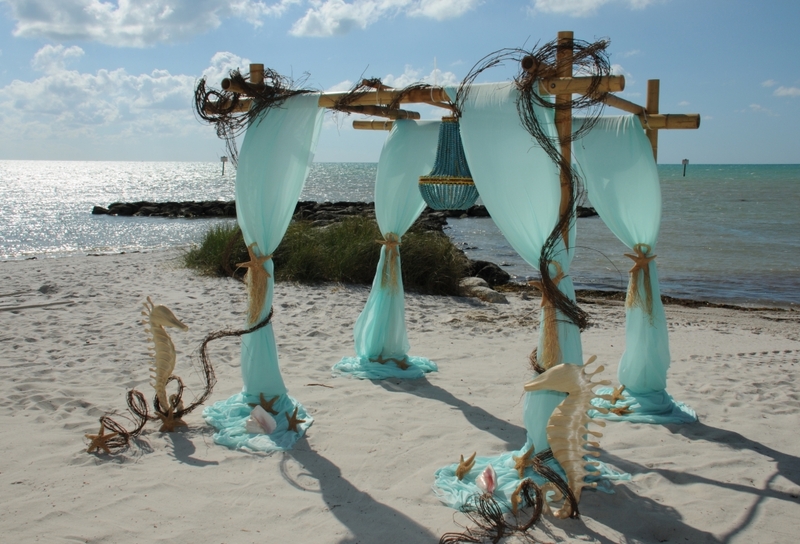 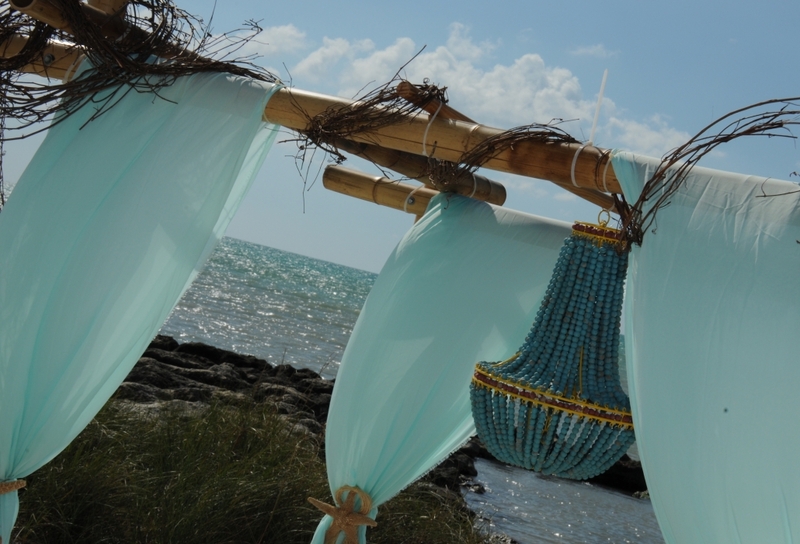 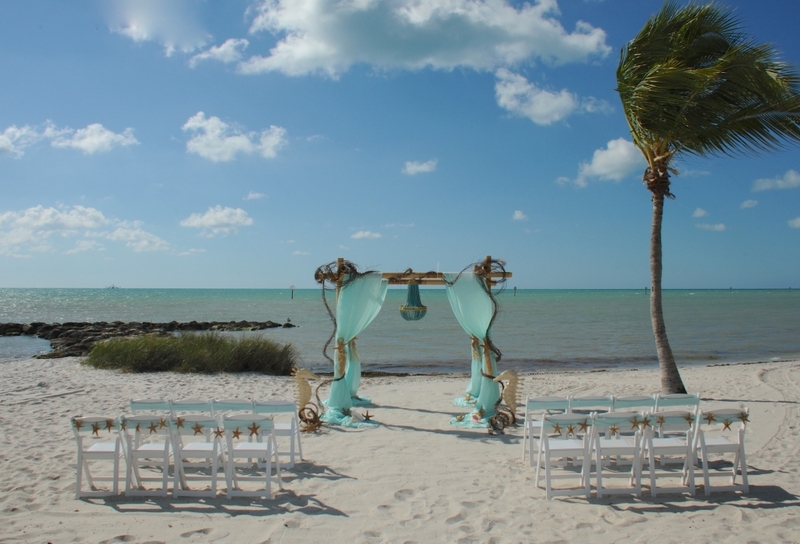 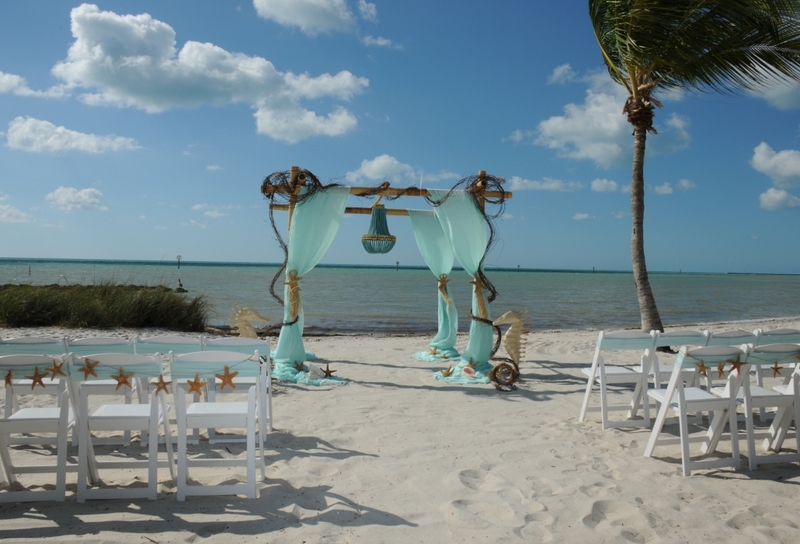 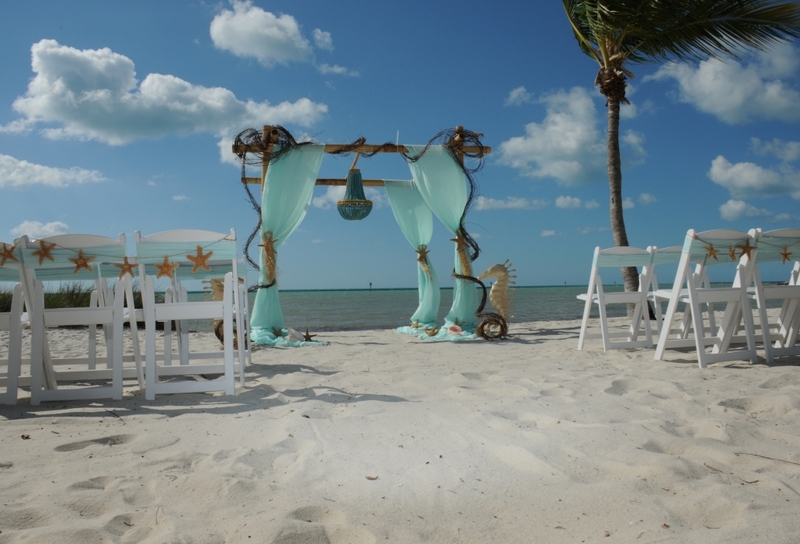 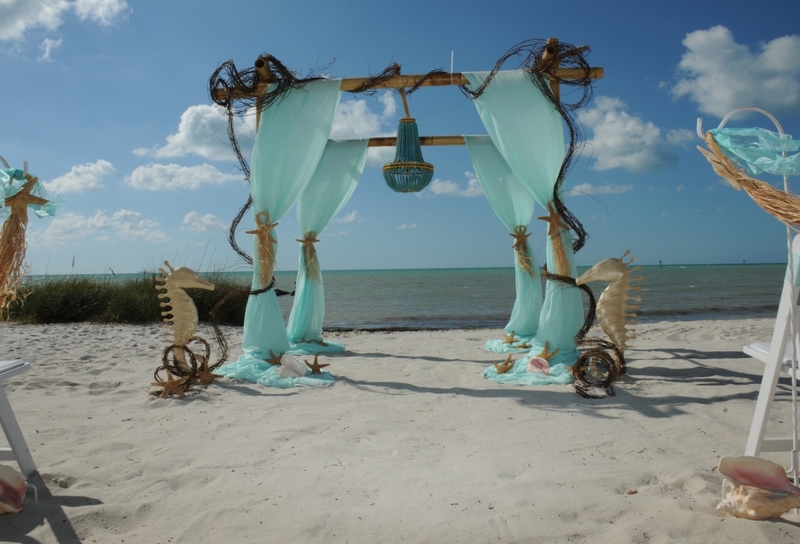 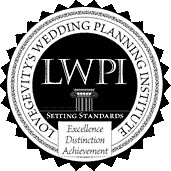 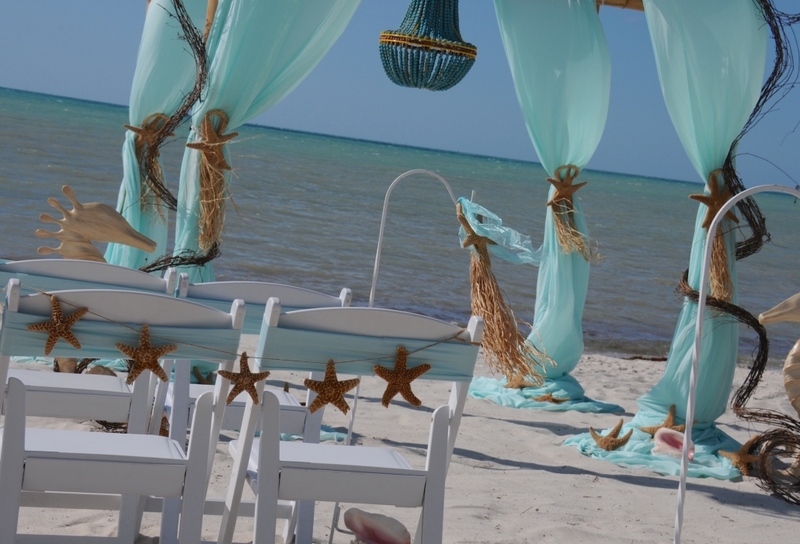 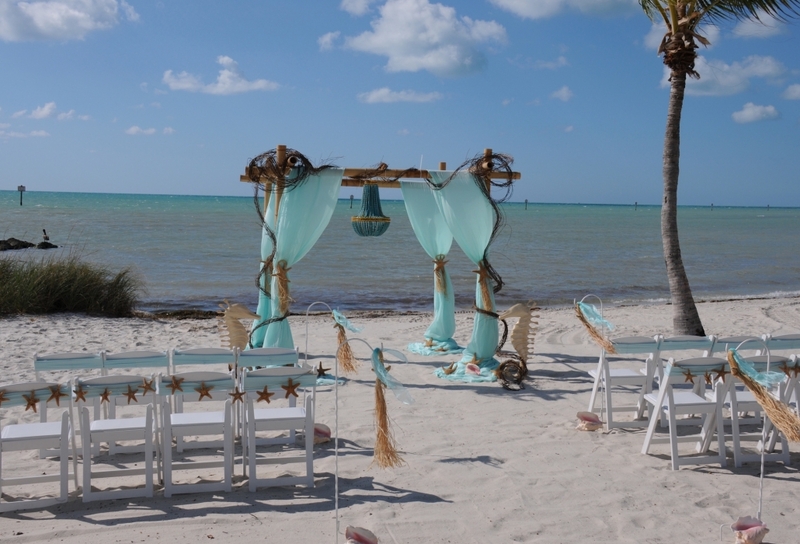 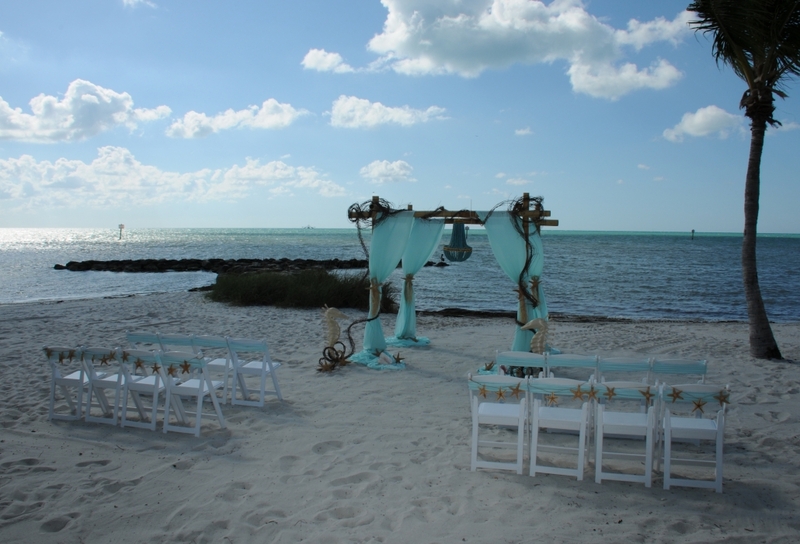 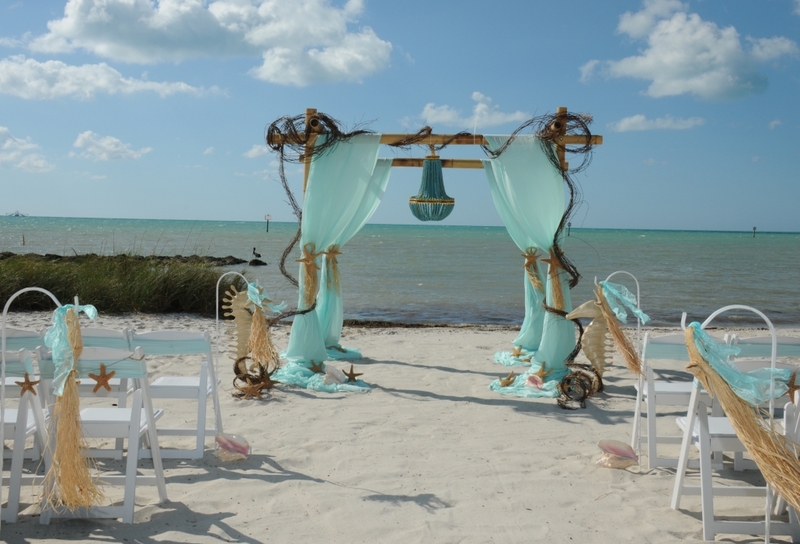 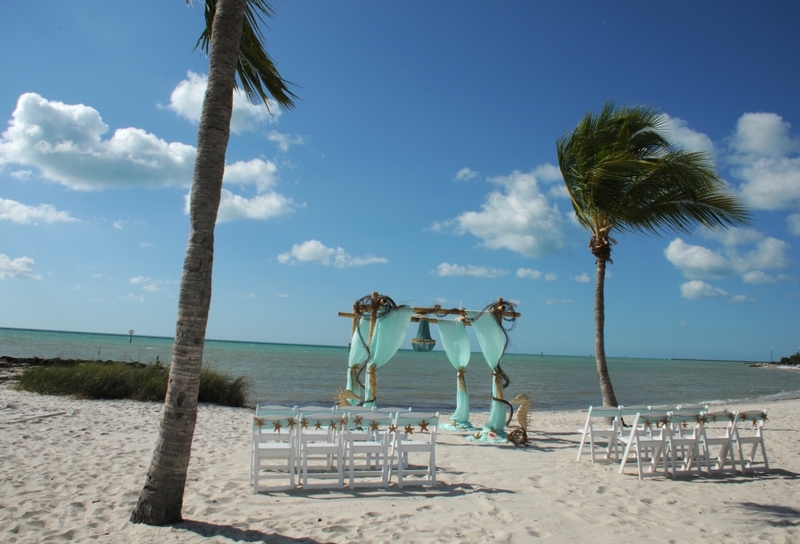 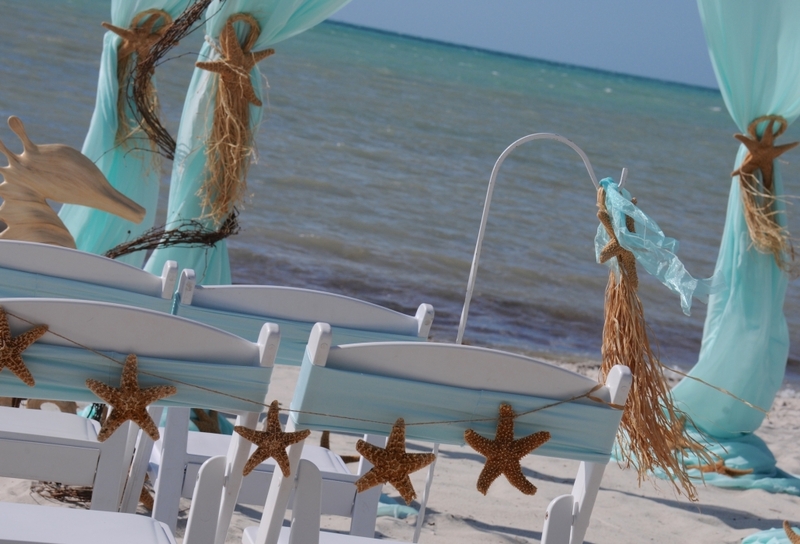 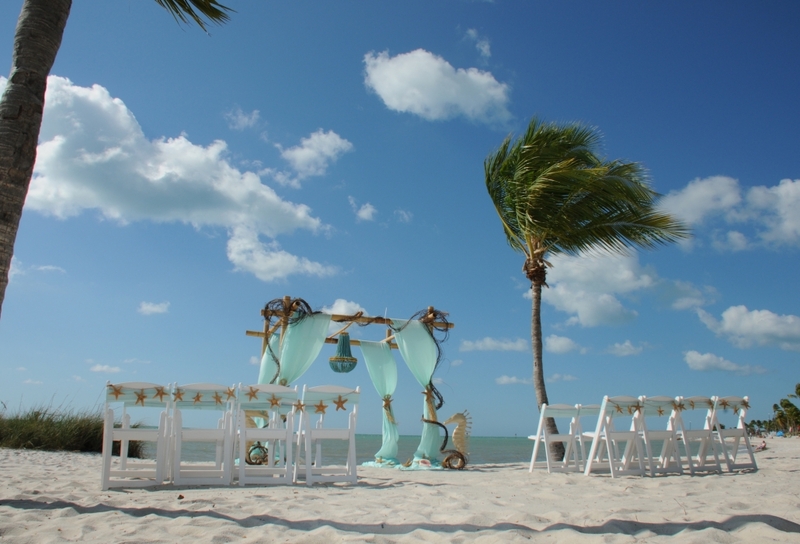 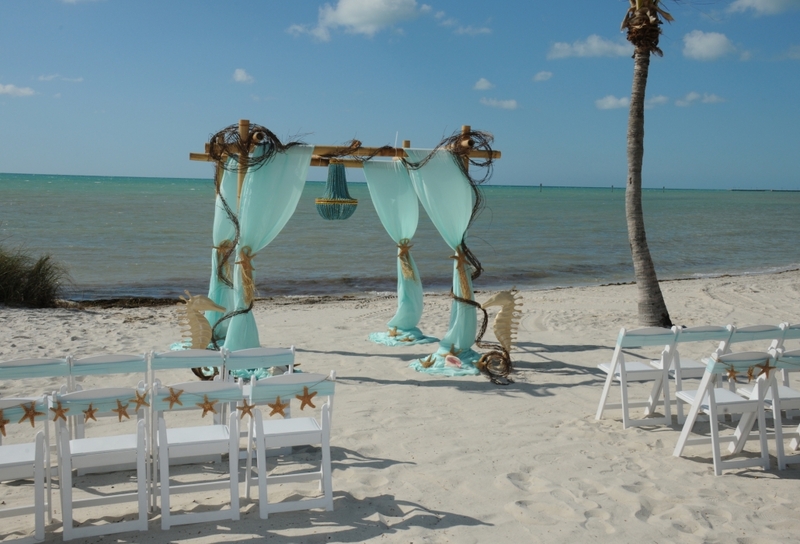 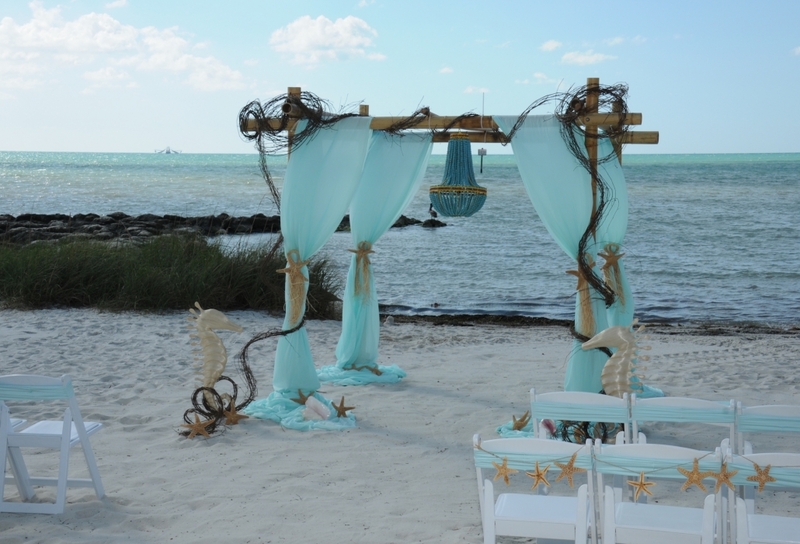 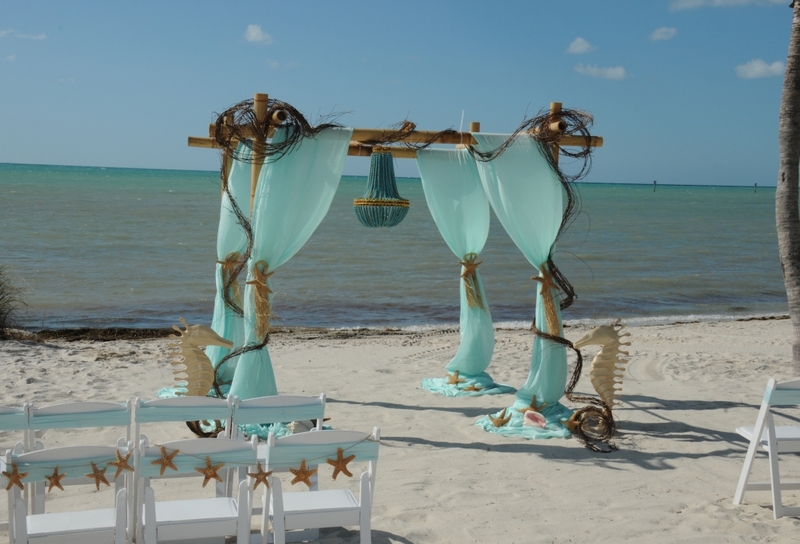 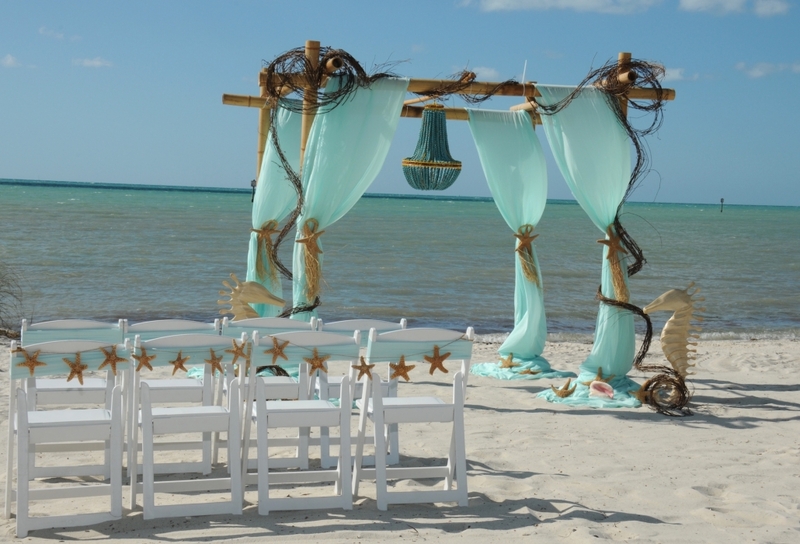 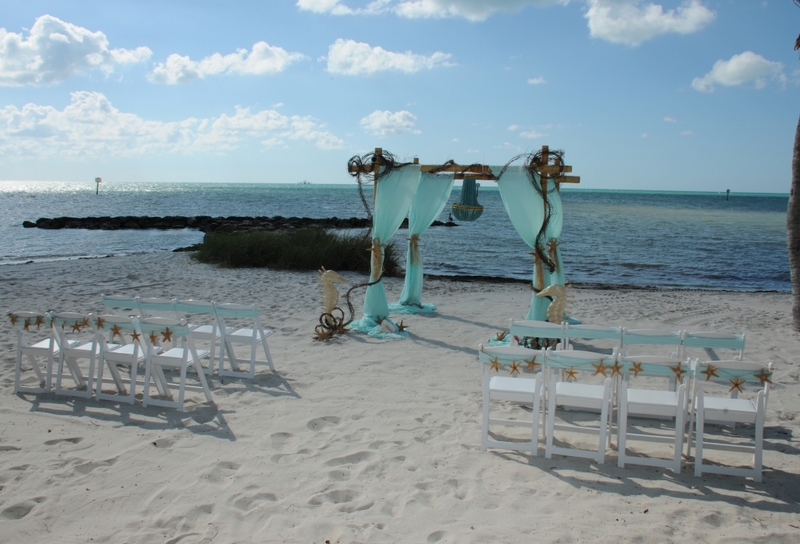 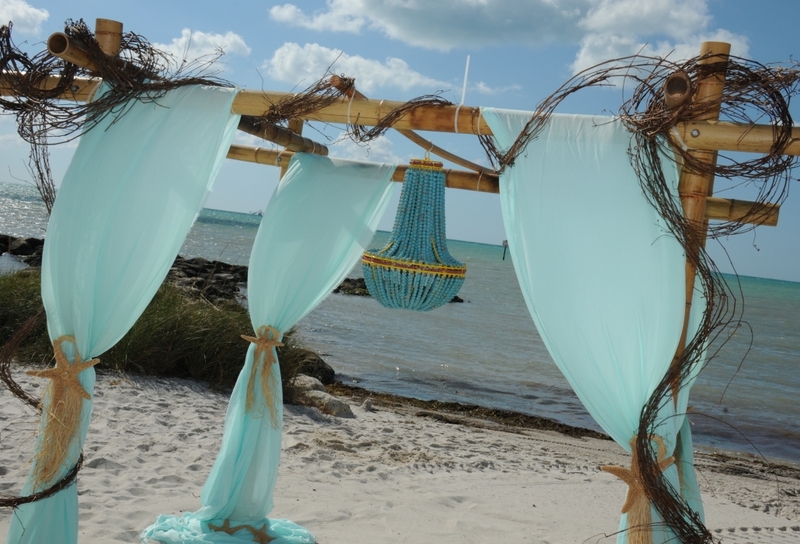 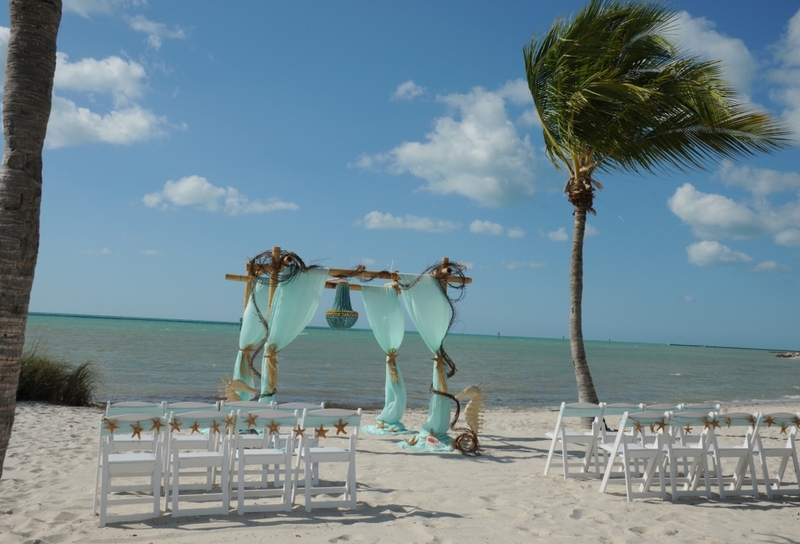 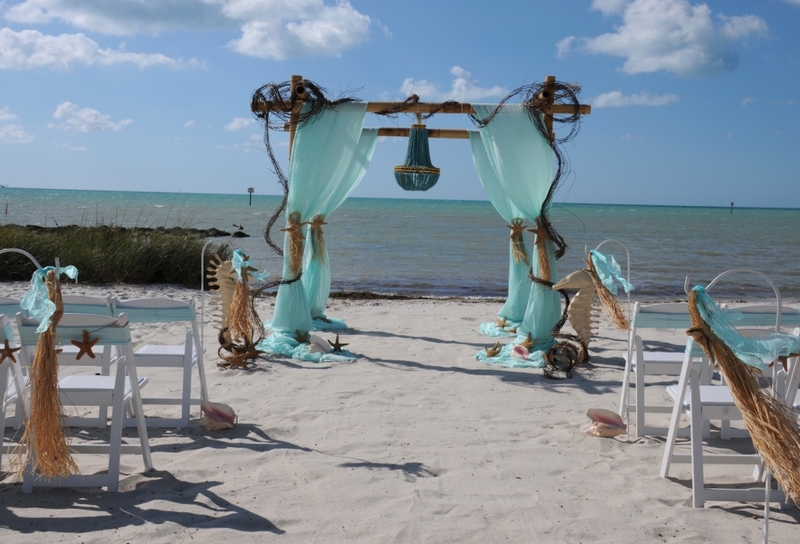 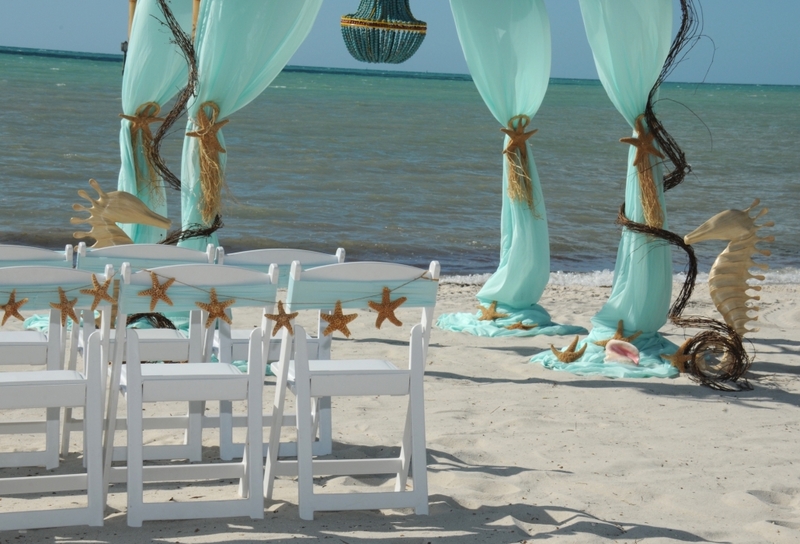 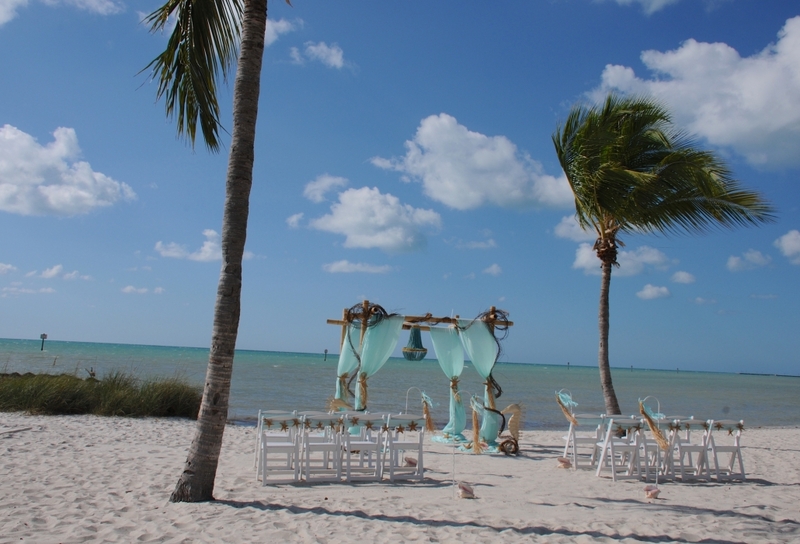 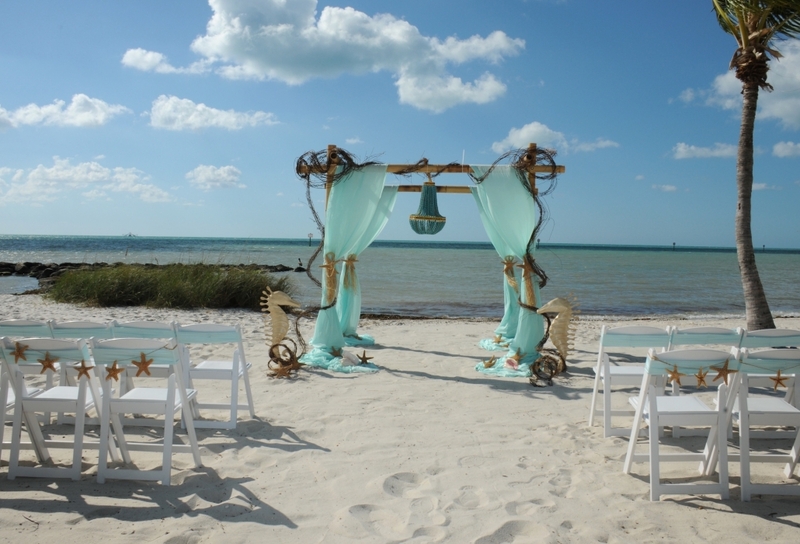 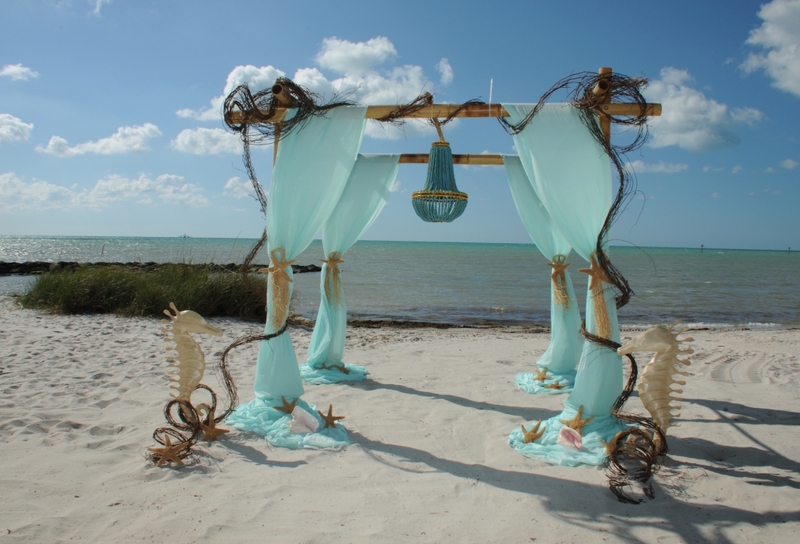 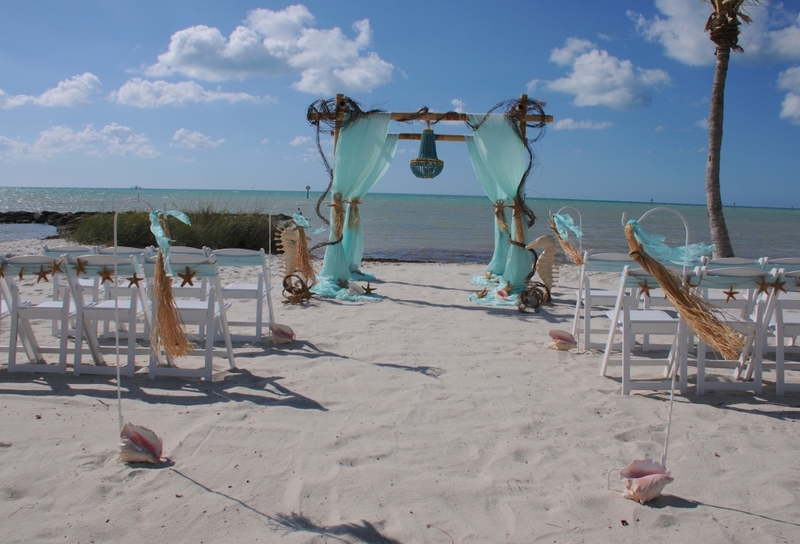 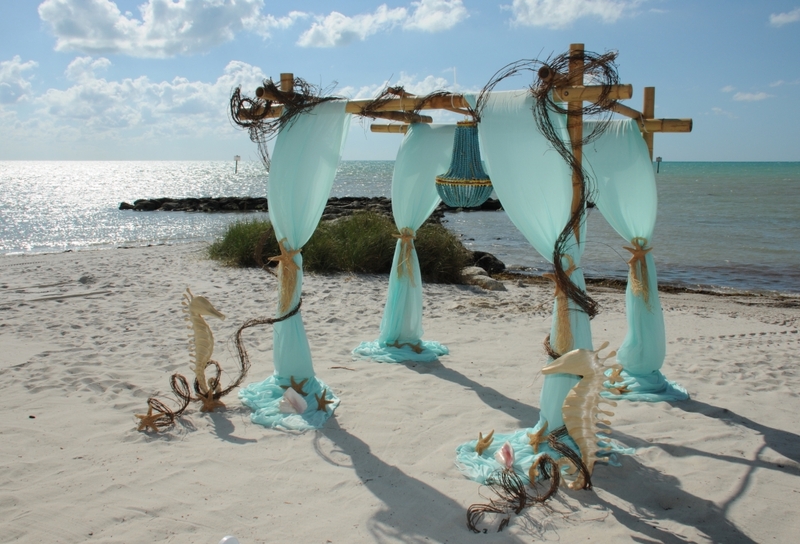 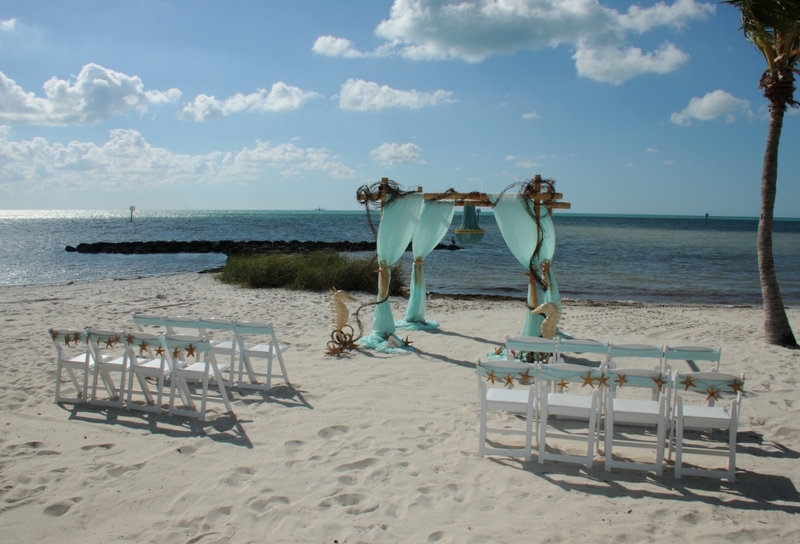 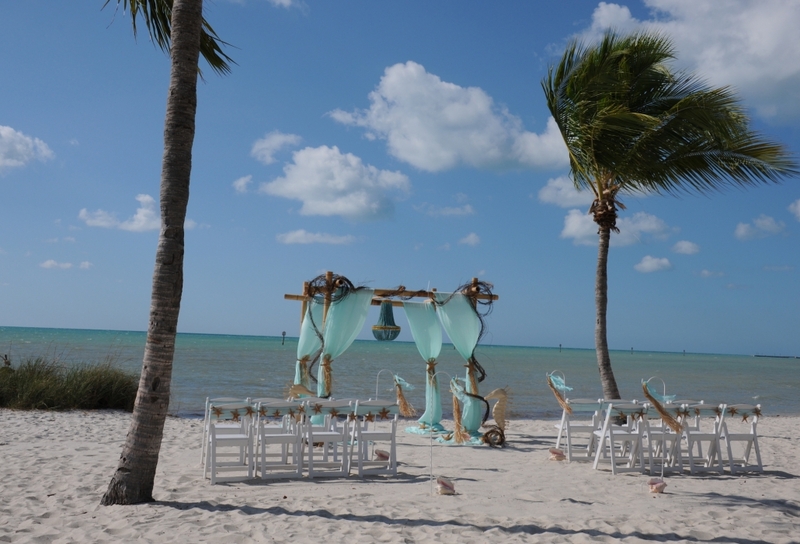 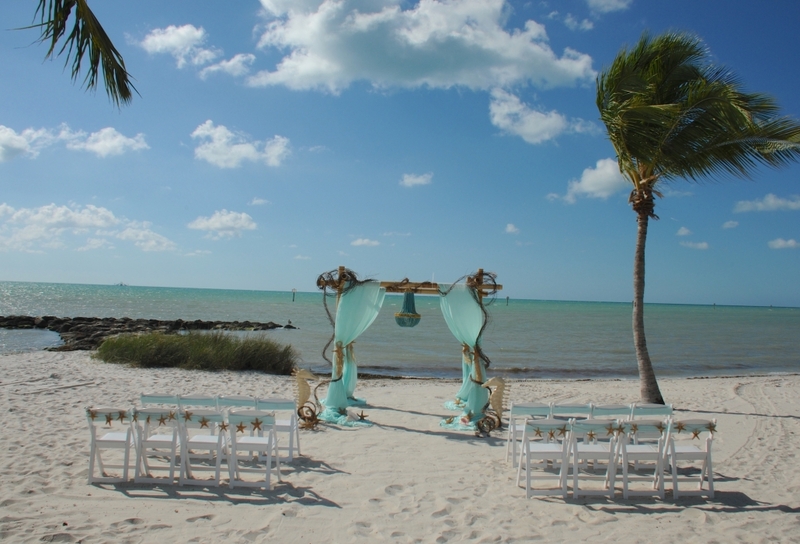 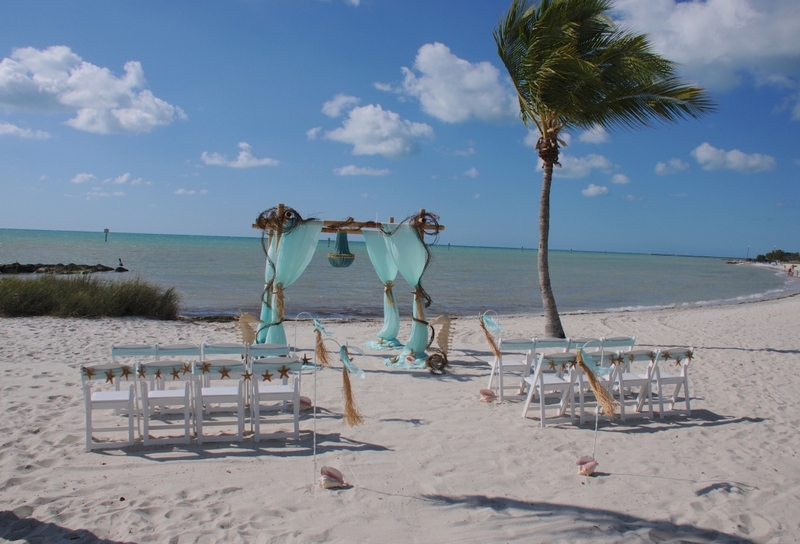 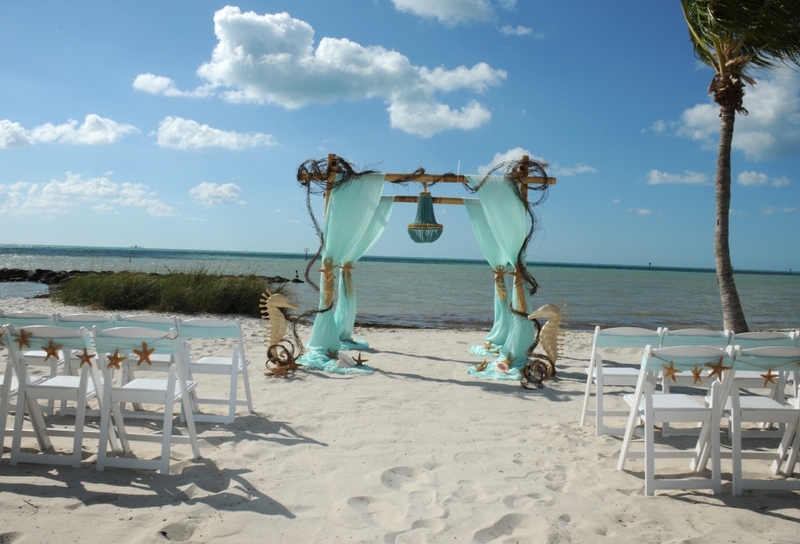 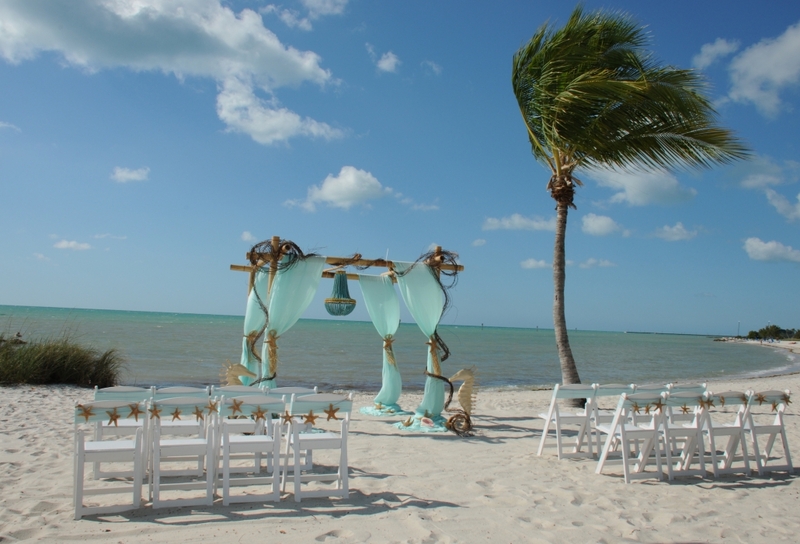 The color of the draping goes brilliantly with the beautiful waters surrounding Key West. 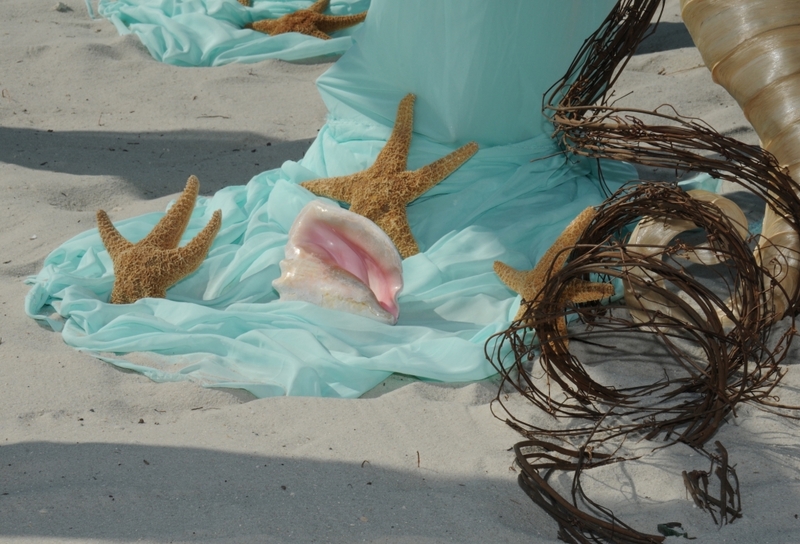 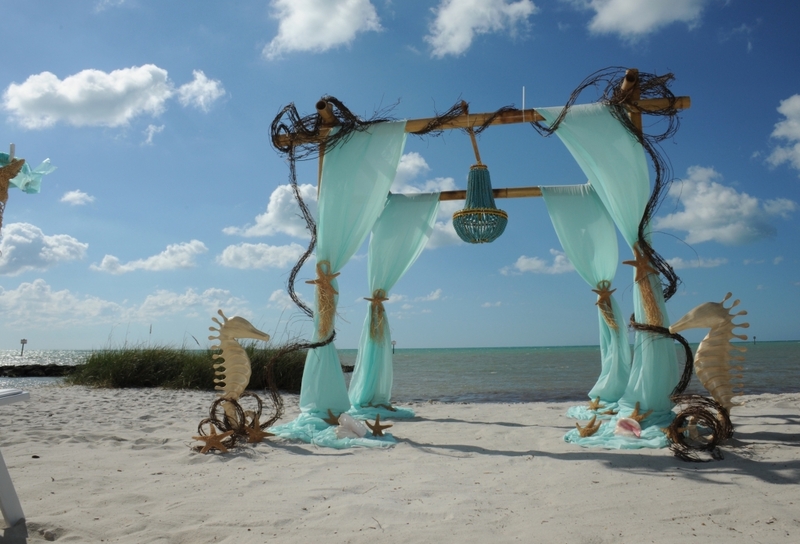 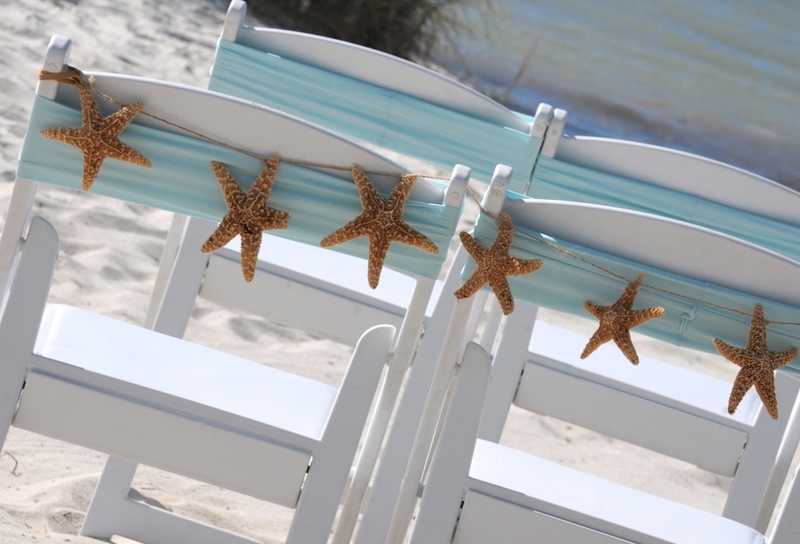 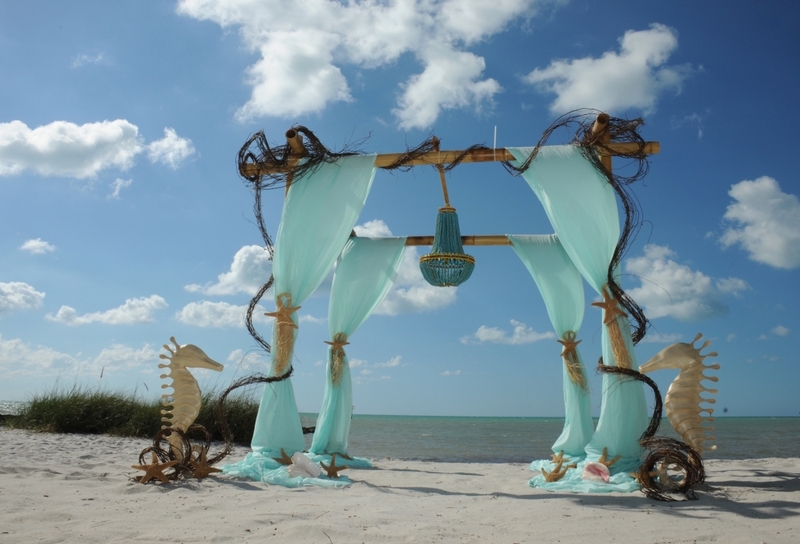 Starfish, conch shells and seahorses complete the theme. 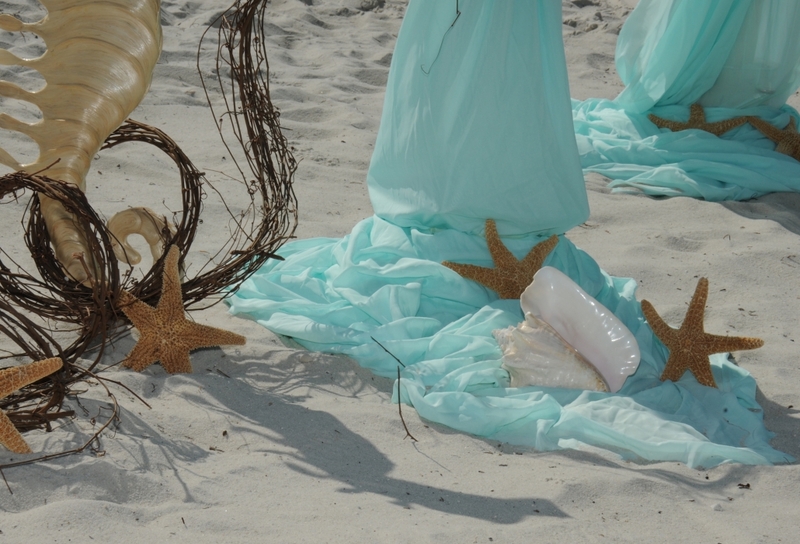 All we are missing is a mermaid!